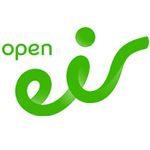 Description: open eir provides communication service providers (such as BT, 3 and UPC) with open access to eir’s nationwide fixed network, products and technical expertise. open eir then works with these communication service providers to ensure that they are executing their strategy, controlling their costs and that the service providers are deepening their relationship with their consumer and business customers. open eir is positioned as Irelands largest supplier of wholesale broadband to communication service providers. The company is also the official partner of the Irish Farmers Journal in bringing Agri-Careers 2017 to you on the 30th March!